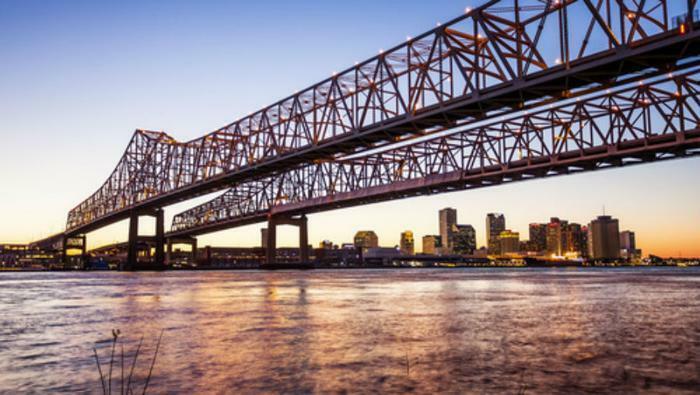 New Orleans is a city that draws tourists all year round, but the fall is probably the best time to visit. For starters, the weather is more likely to be hospitable. It will still be muggy with the city's infamous humidity, but it's a far cry from the summer months. Being outside and enjoying what the Big Easy has to offer is a lot more pleasant. Part of the fun of visiting New Orleans is to live like a local. That means passing up one of the famous hotels in the French Quarter and renting a house for the week. If there are several people in your party, it will work out to be a lot less expensive. But it also immerses you in one of the city's unique neighborhoods. Search online for "New Orleans vacation rentals" and you'll come up with sites like VRBO, with properties available in a variety of sizes and locations. We found a 700 square foot cottage in the Uptown section of the city that sleeps four and runs around $115 a night. Or you can rent a condo in the city's downtown commercial district, which is within walking distance to the French Quarter. We found one on VRBO that sleeps four and averages around $159 a night. Another way to feel like a local is to attend one of the many neighborhood festivals. Mardi Gras may be the ultimate festival, but Autumn weekends have one or more festivals celebrating everything from mac and cheese to seafood. September 23 is NOLA On Tap, a celebration of beer. This year's event will be held in City Park and is the official countdown to Octoberfest. You can find details here. One of the biggest fall festivals is the Louisiana Seafood Festival, October 27-29 on the New Orleans river front. A wide range of Louisiana vendors will be there with every type of seafood cuisine, including oysters, crawfish, shrimp, and crabs. Chefs from some of the city's most famous restaurants also take part. You can find a complete line-up of New Orleans festivals here. Take advantage of the cooler weather to get around town on two wheels instead of four. The terrain in New Orleans, being five feet below sea level, tends to be flat, making peddling easy no matter what your biking skill level. There are several easy-to-follow bike routes you can find here. The St. Charles Avenue route, at less than five miles, is not that taxing and takes you past some remarkable architecture. The route takes you through both the Arts District and the Garden District, running parallel to the famous street car line. Yes, you really should join all the other tourists by visiting Preservation Hall. It's a must-do part of a first visit to the Crescent City. But there are other jazz venues as well where you can blend in with the locals. Every Thursday during the fall there's Jazz in the Park, in Louis Armstrong Park. The series hosts a live concert series every Thursday evening, featuring local bands, live painting and art displays, and of course food vendors. Best of all, it's a free slice of authentic New Orleans. If you time your visit to the end of October, you get to enjoy a New Orleans Halloween, perhaps just a notch below Mardi Gras, but still with outrageous costumes. The Krewe of Boo stages a French Quarter Halloween parade each year -- this year it's the Saturday before Halloween. The Voodoo Music + Arts Experience takes place on Halloween weekend and has turned into one of the city's largest music festivals. The event attracts some of the best known artists across a wide range of music genres. Meanwhile, there are smaller Halloween celebrations all over town as the city's residents get into the spirit of the holiday.